Mitsubishi has silently launched the all-new Outlander in India. Available in just one variant with a sole petrol engine, the Mitsubishi Outlander is priced at Rs 32 lakh (ex-showroom Pune). 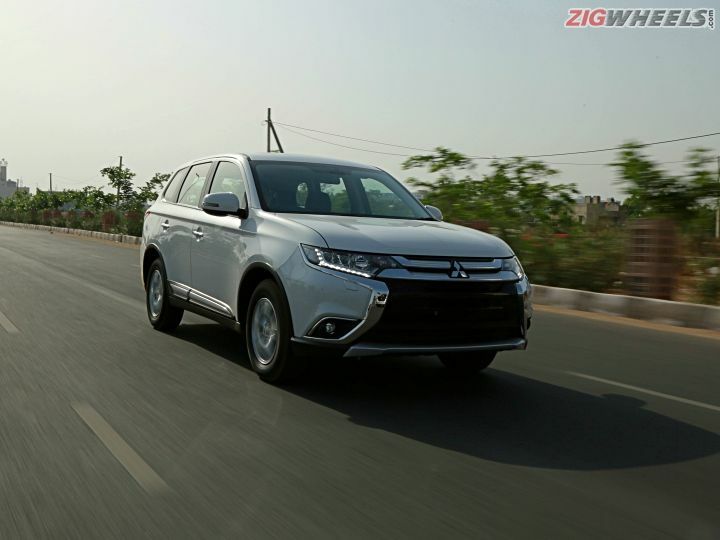 The 2018 Outlander takes on SUVs like the Toyota Fortuner, Ford Endeavour, Skoda Kodiaq and the upcoming Honda CR-V.
Mitsubishi says it made a conscious decision to offer just a single petrol engine, with the company not planning to offer it with a diesel engine at all. With higher taxes making diesel-powered cars less sensible to own, the demand for them is waning. Looming tighter emissions norms are also expected to drive up the prices of diesel cars and manufacturers, including Mitsubishi, are preemptively taking the decision to launch and develop petrol/hybrid cars. In fact, Mitsubishi may launch the PHEV (hybrid) variant of the Outlander later for those who want diesel engine-matching efficiency in India at a later stage. Honda could be the odd one out when it launches the all-new CR-V with a diesel engine next year. The Outlander is powered by a 2.4-litre, 4-cylinder MIVEC petrol motor that develops 167PS of maximum power and 222Nm of peak torque. The motor is paired to a CVT with 6 predefined steps and power is sent to the wheels via a front-biased AWD system. While the AWD system does have dedicated off-road modes with an AWD lock mode to help the SUV handle some off-road conditions, it is designed to be more of a city-centric SUV than a proper off-roader. The Mitsubishi Outlander is a full-sized SUV capable of seating seven and was first introduced internationally in 2015. The Outlander is the first product from the company to feature it’s new ‘Dynamic Shield’ design philosophy, which gives it a rather smooth and aerodynamic shape. The Outlander features all-LED headlamps with LED DRLs, LED fog lamps and LED taillamps. The 16-inch alloy wheels may look undersized for the SUV, but the fatter 215/70 section tyres do make the ride pleasant, as we found out during the first drive. Read the full review here. Inside, the Outlander features an all-black leather upholstery with a driver-oriented dashboard, a 6.1-inch touchscreen infotainment system, automatic headlamps and wipers, electric sunroof, dual-zone climate control and a 710-watt Rockford Fosgate surround sound system.